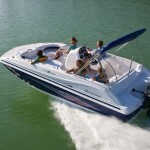 Hurricane boats are designed to provide a fun time on the water. Hurricane focuses their efforts on just a couple different styles of boats, perfecting each of these. 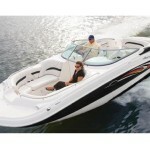 The common feature among all Hurricane boats is an open deck with plenty of seating. 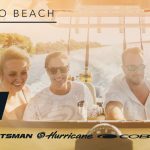 This is what makes Hurricane boats for sale attractive to people looking to have a fun day on the water. Hurricane designs three different types of boats. Their series are the SunDeck, the SunDeck Sport and the FunDeck. Each of these offers advantages specific to different types of use. However, all of them are perfect for a sunny day. The SunDeck series by Hurricane features bow riders from 18 feet to 27 feet, equipped with an outboard motor. Outboards offer easier maintenance. They also can be taken completely out of the water; this is a major consideration for anyone boating in salt water. One unique feature these have is walk-through on the side. Many open bow boats have the walk-through in the center of the boat. By placing it on the port side, Hurricane created a distinct, sporty feel. This also helps maximize seating capacity and storage. It also makes getting around on the boat simpler. The SunDeck Sport is a similar boat, but offers a slightly different design than the SunDeck models. This series also comes with an Yamaha outboard. Slightly smaller, these come in models from 18 feet to 23 feet. While they also are open bows, the SunDeck Sports have very distinctive floor plans. The different models offer flexible layouts. The SS 211 and SS 231 both have a center console with seating all around and plenty of room to walk around. This is a very innovative design, and would be a great solution for people who are avid fishers, but also want the benefits of a deck boat or bowrider. The other models in this series have a traditional center walk-through, but the seats are different. There are not the typical forward-facing and backward-facing seats. Instead, the seating is wrapped around. This design encourages interaction and is great for lounging in when docked or anchored. 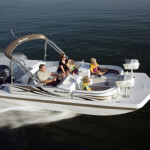 With the FunDeck series, Hurricane branches into pontoon boats. However, these Hurricane pontoon boats offer the performance of deck boats. There is plenty of seating, and people are able to move freely on these boats. The fun and ease of a pontoon boat is merged seamlessly with the performance delivered by the SunDeck and SunDeck Sport lines. People looking at Hurricane boats for sale will want to consider Marine Connection. 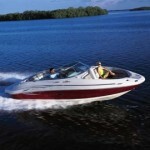 We are a well-established boat dealer, with more than 20 years of experience selling boats. While located in Florida, Marine Connection serves customers worldwide. They have several Hurricane boats for sale and ready to ship. Contact us today!